So either you have decided to try these amazing essential oils, or you have tried them and are sold! Either way you are interested in buying some or better yet, signing up for the wholesale membership kit. How do you start? Well if you would just like to try some oils, decide which ones you would like to order and send us a message. You don’t have to be local, we can take payment through Paypal and will get them shipped directly to your home. 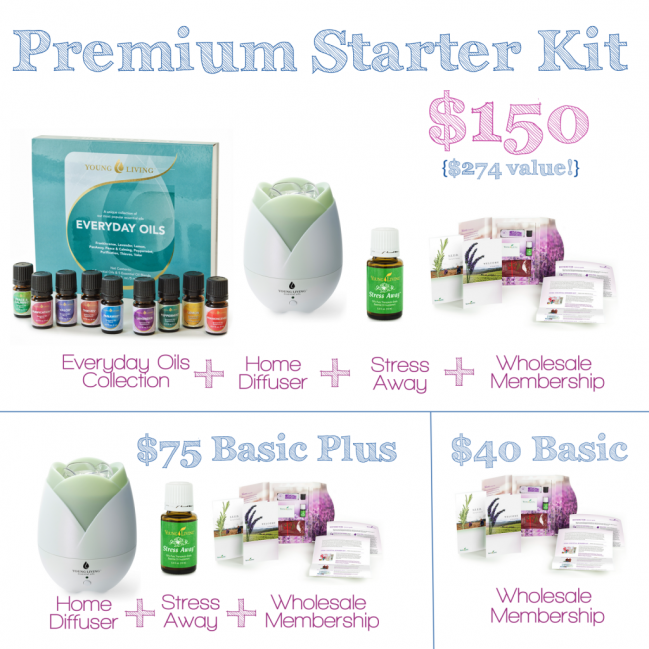 the premium kit is worth $300, you will only pay $150, what a deal! absolutely ZERO obligation to sell oils, though if you are interested we will provide all the support and business advice you need to succeed. save even more money with the capability of placing an Essential Rewards order, you receive discounted shipping and earn credits towards free products. we are here to help guide you, any questions you have along the way we are more than happy to answer. There are 3 levels of kits you can sign up for, but I strongly recommend the premium kit. It is just such a fantastic value. Now what comes in this great premium kit you ask? 11 5ml bottles of oil- thieves, valor, peppermint, lavender, panaway, digize*, peace and calming, sacred frankincense*, lemon, joy and stress away. *digize and sacred frankincense are just for a limited time!! ** the diffuser is amazing, it really opens up your oily world and the cheaper versions just don’t compare. Super easy, just follow one of the links below. Our sponsor numbers will already be filled in. Enter your information and pick your kit level. It will offer essential rewards kits too, for now just click “not at this time” and we can help you sign up for rewards later if that’s the route you chose to go. Then submit! Get excited, getting a kit is like Christmas morning! !